This only lists previously looms and is provided as a resource for sellers/buyers. If you wish to list a used Glimakra product, please contact us. 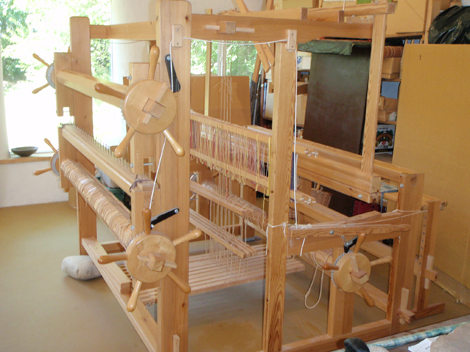 This loom is located at our Glimakra warehouse in Eugene, Oregon. 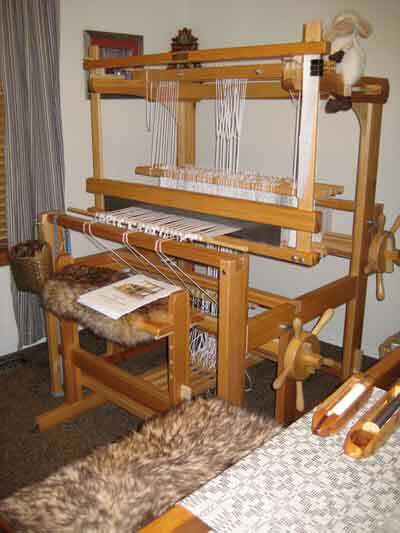 We have Glimakra accessories and weaving equipment, as well as an assortment of yarns that can be purchased separately to be shipped with the loom. You are welcome to pick up the loom directly from our warehouse. Depending on the distance, we may also be able to arrange for delivery. For longer distances we can ship through our freight service, but the buyer must pay shipping costs. Payment can be made upon pick up or online by square invoice. 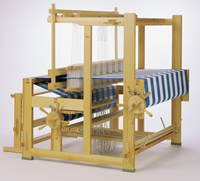 Please contact Glimakra USA directly if you would like to purchase this loom, or if you have any questions! 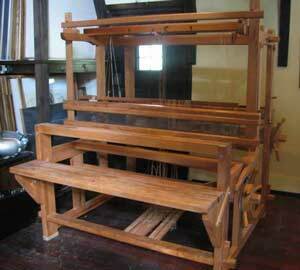 Includes: bench, shuttles, bobbins, warping board.. Purchased new in 1995, in like-new condition. Located in Colorado, buyer responsible for shipping costs. 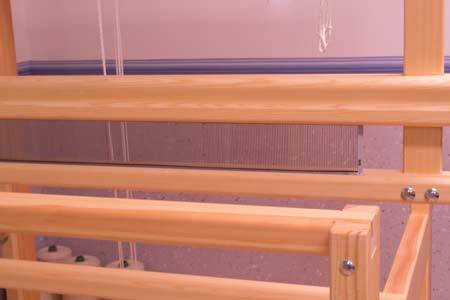 Circa 1980s loom in search of home in a weaving studio where it will get regular exercise. Unassembled and in controlled storage for several years. Counterbalance (not countermarche) (see photo of drall pulleys) with 8 harnesses and 10 treadles. No photo available as loom is not set up at this time. 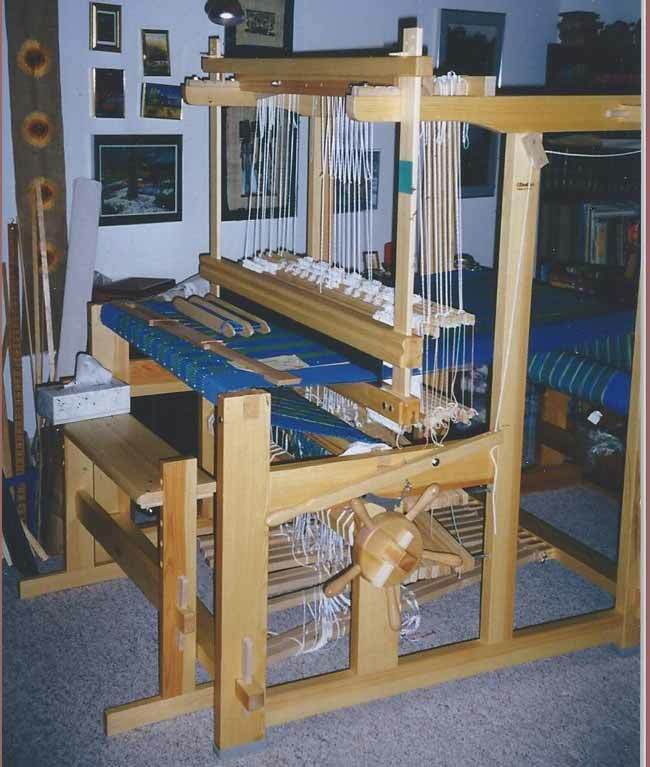 Includes adjustable height bench, warping frame, string heddles, 5 and 12 dent reeds, 2 apron and lease sticks, 24 warping sticks and three boat shuttles with 6 bobbins. Has original parts and assembly instructions. Needs tie-up kit. Located near Omaha, NE, metro area. Payment preferred by cash (for pick up) or check cleared before shipping. Shipping or pick up responsibility of buyer. I have owned this loom since 1974, and have been its only owner. I have used it, gently and lovingly, in the countermarch configuration, but it is also equipped for use as counterbalance. It has all its original parts, including warp and cloth beams, ratchet wheels, hanging beater and adjustable bench. The original 1000 Texsolv heddles and tie-up cords, two lease sticks, two shaft holders, six shafts and lams, eight treadles, four rubber feet and 36 warp beam sticks. There are two reeds: 10 DPI and 12 DPI. There are also four horses for counterbalance weaving. 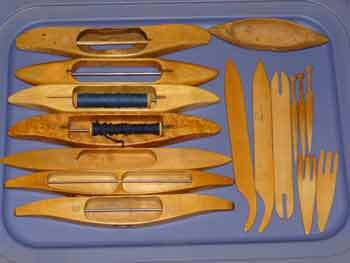 I also include the following accessories: 12 shuttles (4 rug, 5 stick and 3 boat with several bobbins), 2 threading hooks, 1 raddle and lease rods. 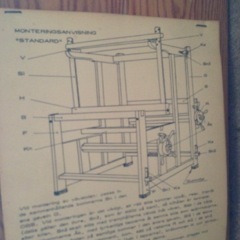 The loom is presently bubble-wrapped for shipping, but the shipping is not included in the price. and used it through the 80s; it has been carefully stored since. 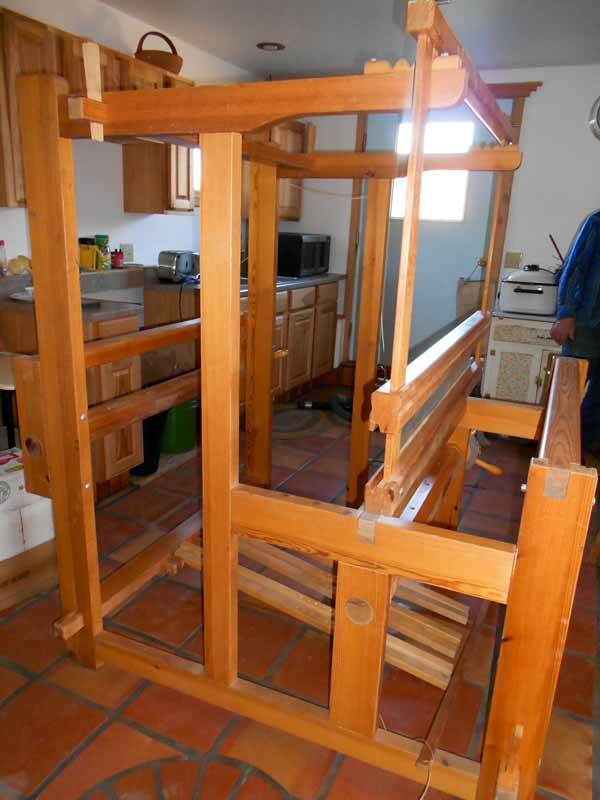 It is disassembled and can be picked up in Santa Fe, NM. 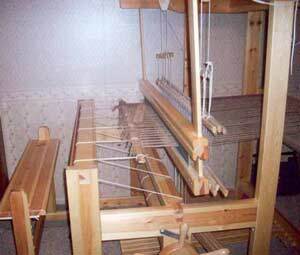 It is a countermarch loom, 100 cm, 4 shaft, 6 treadle, with bench. In very good condition. Located in Presque Isle (far north central), Wisconsin. Shipping or pick up responsibility of buyer. 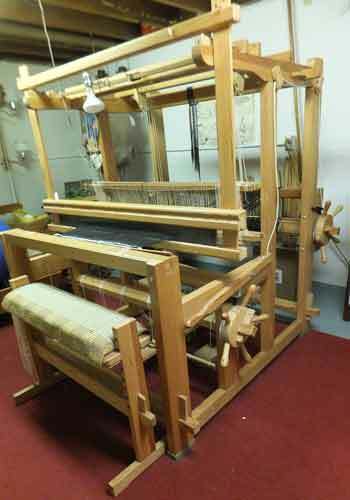 Vintage Glimakra Sovereign Loom, 250cm (96 inches) wide. extra heddles,harnesses and sliding bench. Adapted with sectional warp beam. Used for large tapestries. Also great for blankets. For sale by original owner, located south of Boston in MA. Currently has black rug warp threaded. Ready for test drive. 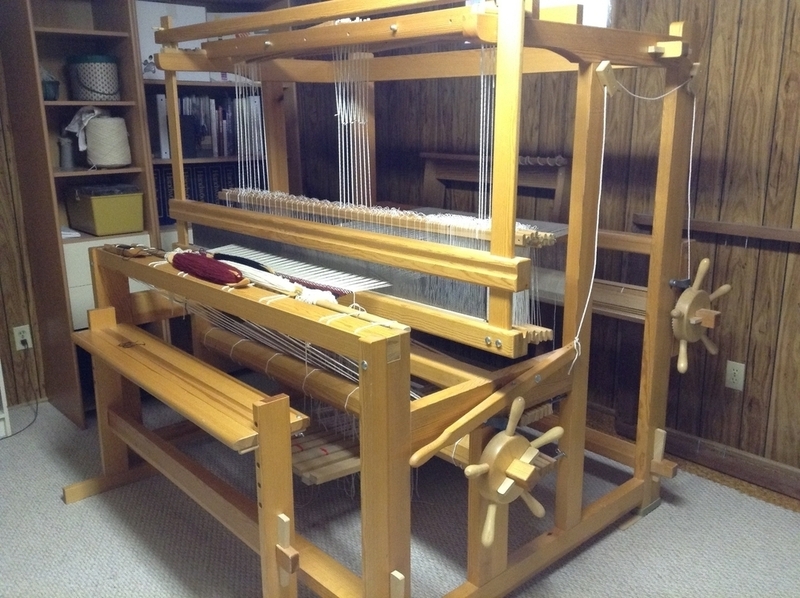 39” 4-Shaft, 6 Treadle Glimakra Standard Countermarche Loom $2000. In excellent condition, original owner, used once. Purchased new in the 1980s. 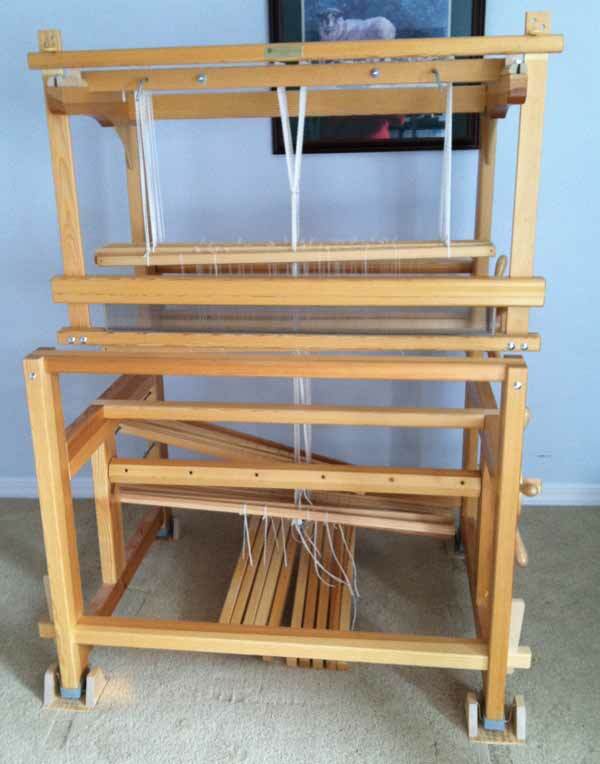 The 39” weaving width loom includes non-skid rubber feet, a separate adjustable bench, 10 dent reed, tensioning box (new still in box), string heddles, rag and stick shuttles, warp beam packing strips, and lots of lease sticks. Outside dimensions: 50.25”W x 69’H x 55”D. It can be dismantled for moving. Located in Middlefield, Western Massachusetts. -Built in Sweden, imported to Canada in 1979. -Countermarch set-up, 10 harnesses(shafts), 10 treadles. -All the equipment (unused) for converting to a 10-harness , 63-inch width, counterbalance set-up. -Linen tie-up cords – likely should be replaced using Texsolv tie-up kit available from Glimakra. -Warp beams for double warp beam set-up. -4 lease sticks, 100 63-inch warp sticks, 1 homemade raddle. -2 63-inch capacity wood temples. -5 63-inch reeds – 4, 5, 6, 8 or 12 dents per inch. 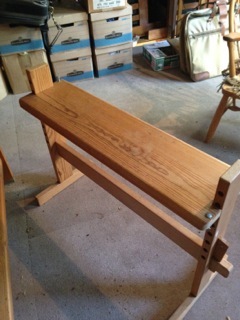 -45 inch wide bench that came with the loom. -4 16-inch boat shuttles with a supply of plastic bobbins. but my body isn’t up to what we used to do together. -Price: $3,000.00 US dollars; $3,500.00 Canadian dollars. -Location: near Saskatoon, Saskatchewan, Canada. -Pick-up, delivery or shipping open for discussion. 4 shaft, 6 treadle, cotton string heddles. Very good condition, original owner since mid 1970s. Includes 8 dent reed, bench, warp beam packing sticks, lease sticks, nonskid rubber feet. Overall 54″W, 64″ D, 69″ H. $1850. Pick up only in East Tennessee. 54 inch (135 cm) Glimakra standard with combination drawloom & with Myrehed shaft drawloom Attachment. Gently used and in very good shape. My wife (co-weaver) died in 2006 and I just have not been able to get back into weaving. I would prefer pick up. Shipping is not included. 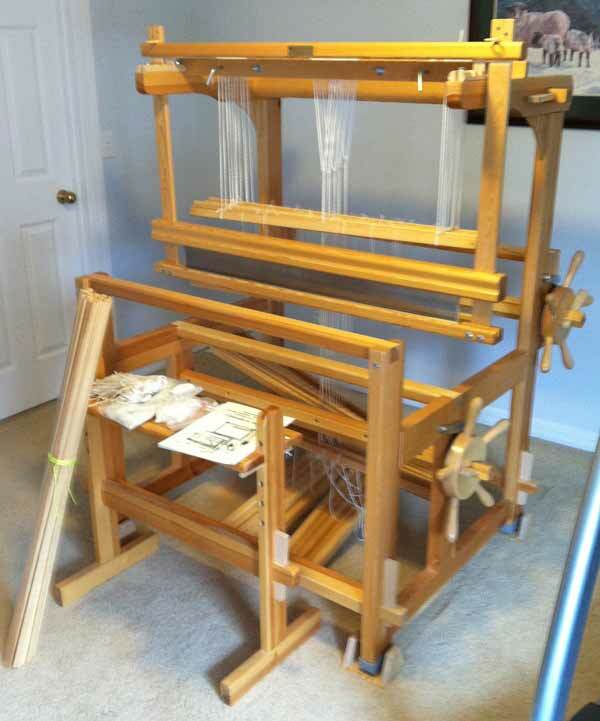 Selling my Glimakra Standard Countermarsh loom. 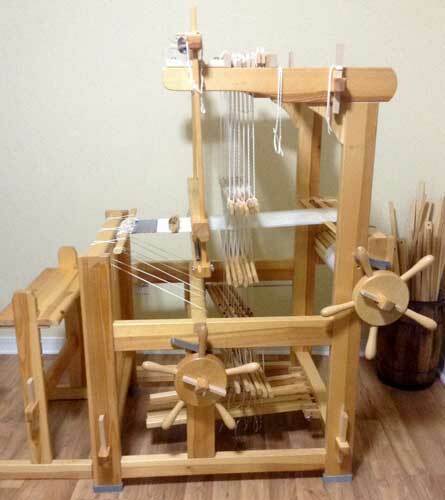 This is a wonderful, smooth, easy weaving loom! 10 shaft and 10 treadles. horizontal countermarch Includes lease sticks, bench, four reeds (6, 8, 10, and 20 dpi), brake release, warp sticks, and non-skid feet. It has the Vavstuga tie up system installed, which allows all treadle tie ups to be done from the front. Wonderful! Includes all original documentation and Vavstuga book. I am the original owner. It is about 9 years old and has always been in a smoke free home. Please reply by e-mail Pick-up only, no shipping. Cash only, please. 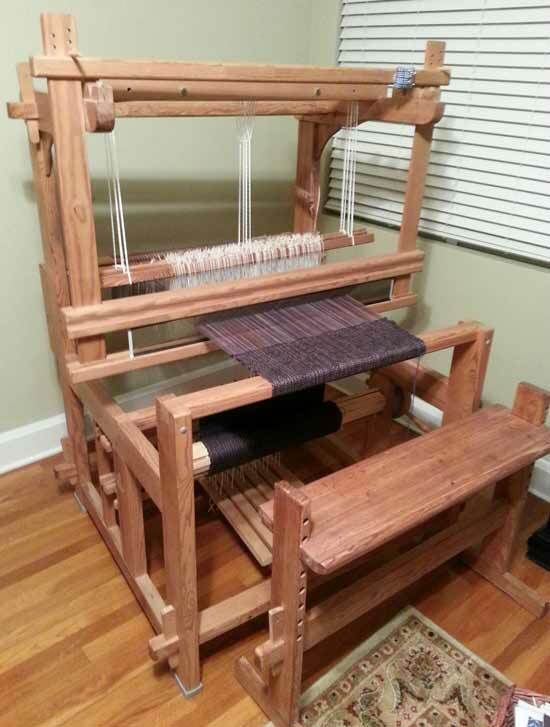 For Sale; 60″ Glimakra “upright” 2 shaft, 2 treadle Regina tapestry Loom. Must be partially disassembled for removal from my studio. 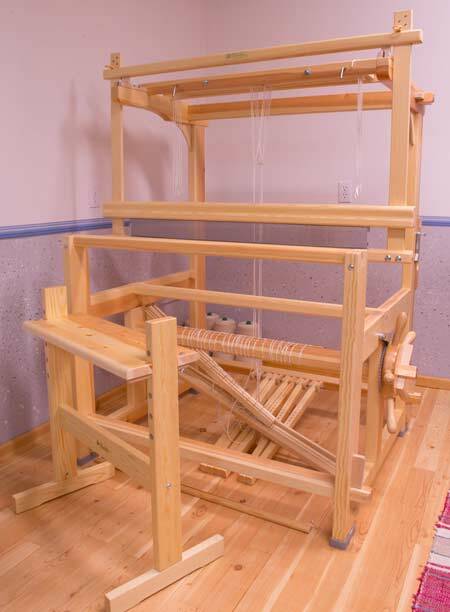 20 harness Damask attachment for 54” Standard loom (can be cut down to any smaller Standard loom). It is an attachment from 1980’s or 90’s, with complete assembly instructions in English. One owner. It works with horizontal CM or with CounterBalance. I will include about 1500 heddles each at least, of pattern heddles and longeyed ground heddles. Texsolv. 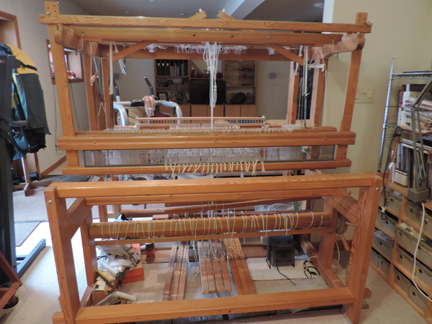 The loom is currently set up with the attachment (but only 10 harnesses) since I just have woven two big table cloths on it, and there is enough warp left to try it out. 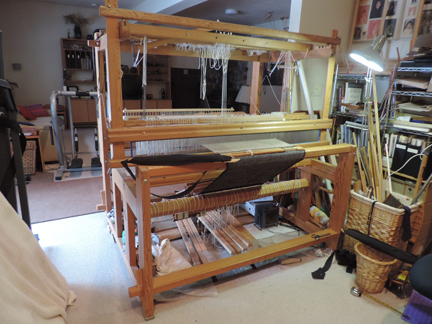 It will only be set up for while longer, since I want to use the loom for other projects. It is located in Berkeley, California. Overall dimensions are 52”W x 62”D x 68”T. Made in the early 1980’s. 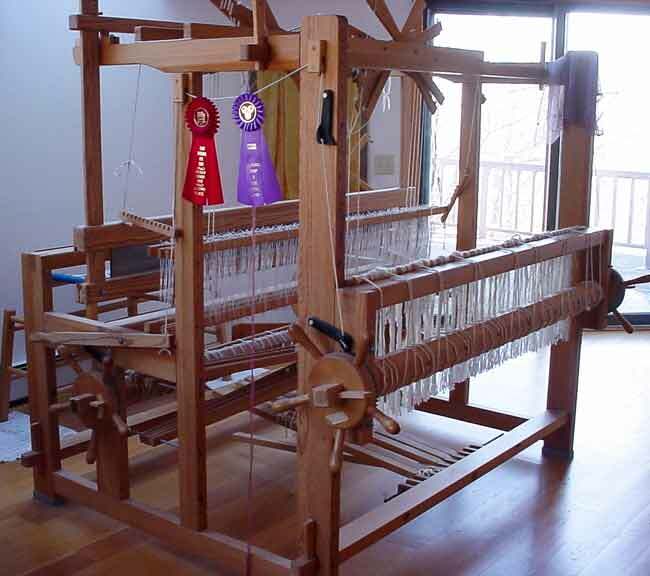 The loom is located in Edgerton, Wisconsin. Local pick-up only. 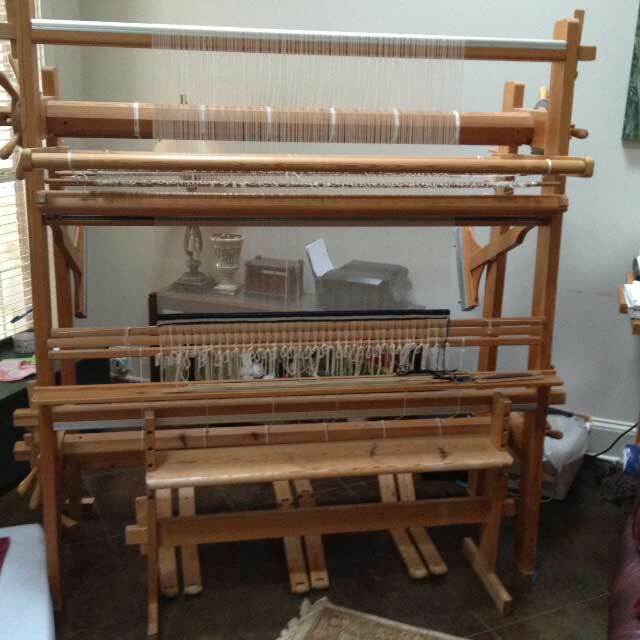 great 100 cm Glimakra Ideal loom for sale. 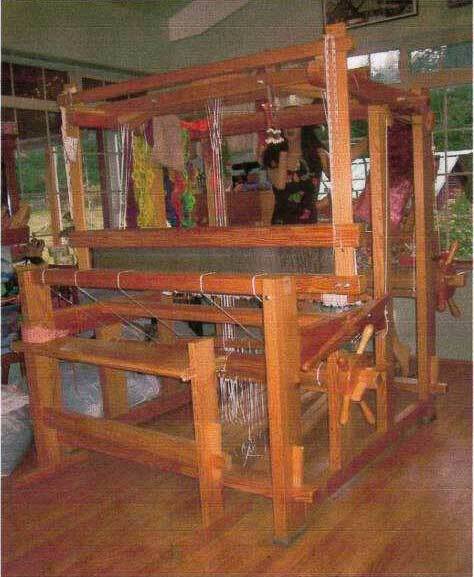 Glimakra Ideal loom for sale. 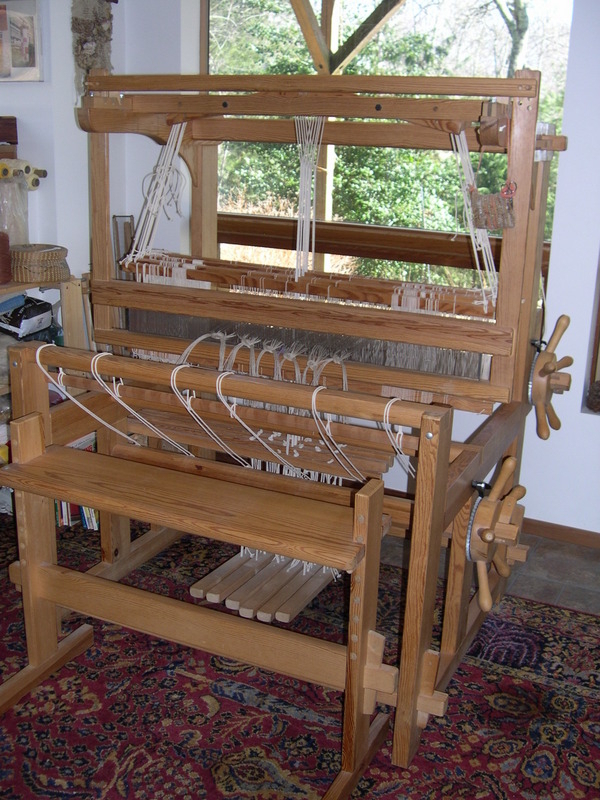 39 inch weaving width, 10 shaft and 10 treadles. 5 to 7 years old and very lightly used. Started out as a display in a shop, purchased but never used, and I am the second owner but has only been with me for 6 months and 2 projects. It just doesn’t fit into my home. It has a 12 dent reed, bench with a sheep pelt cover, instruction books, rubber and stadig feet, extra texsolv cording and anchor pins, shaft holders and cord threader. $1800 plus shipping or you can pick it up in Idaho Falls, ID. 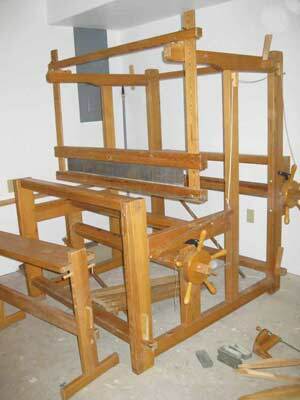 We have for sale, an Ideal loom which was used for display. It is approx 3 years old, but looks new. Comes with everything you would get with a new loom, reed (8 or 10 dent), 1,000 Texsolv heddles, Texsolv tie-up kit, 24 warp sticks, instruction books and a boat shuttle. 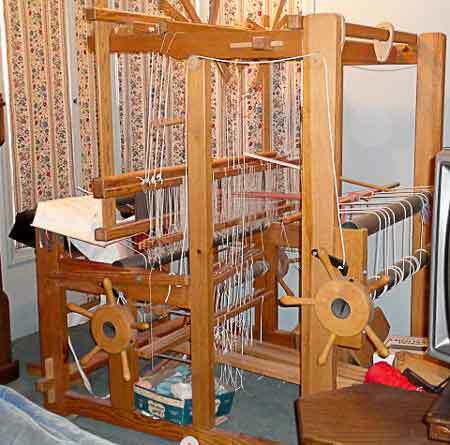 GLIMAKRA IDEAL 27″ LOOM FOR SALE. history. i switched it all out with new texsolv . brand new threading holders for the reed and lease sticks never used. The bench in the photo is not included. The following are other items, distaff, shuttles, threads and yarns which are for sale. 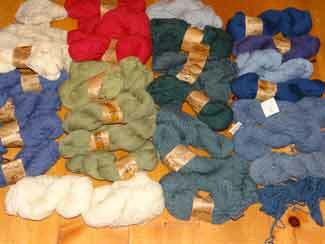 There are more threads and yarns (cottolin, linen, hand spun linen, wool) which are not in these photos. 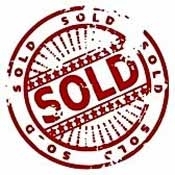 Contact the seller to inquire about these items. 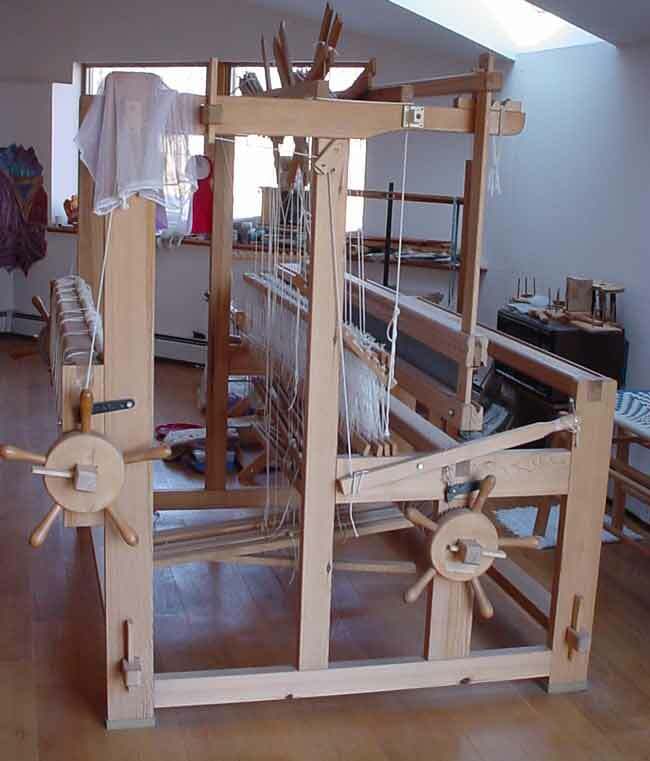 This fly shuttle beater fits a Glimakra Standard 59”/150 cm loom. It is complete as and includes bottom beater with fly shuttle boxes, top pivot beam, pull ropes, attaching hardware, heavy metal beater accessory attachment and assembly instructions. I have used this and it works just fine. It does require utilization your looms original beater uprights and beater cap. Location Zanesville, Ohio. Can pick up or will deliver within 50 miles. Packaging and shipping are not included in price. Contact Roy @ roy_orr35@hotmail.com or call (614) 256-9555.
magazines, stash of linen, cotton, wool thread. PA. Otherwise, packing and shipping is responsibility of purchaser. Purchased new, kept inside, and lightly used. – Please email t for more information. 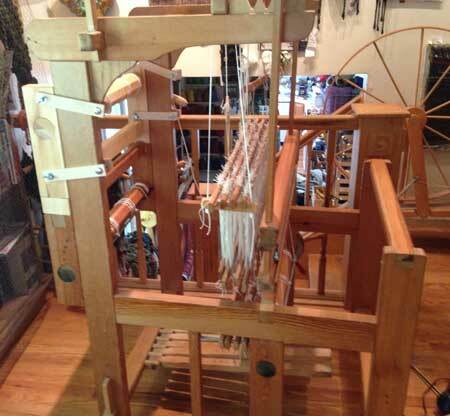 The loom is in Arizona. Shipping is not included. 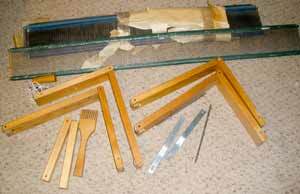 Includes: Loom bench, 12 dent reed, texsolv heddles, instruction books, floating foot Holders (4). 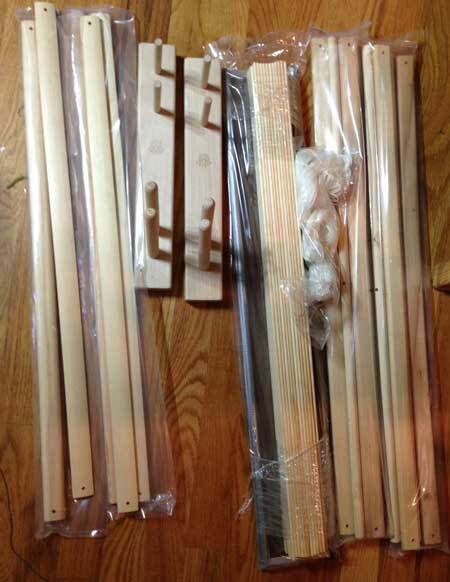 Description: Loom purchased new, never used; excellent like new condition. Asking $3000. It is in great condition, though the finish is faded. email and we will forward contact information to the seller. only lightly used for a few projects. 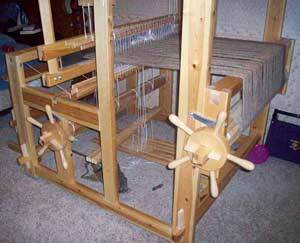 8 harness 10 treadle Swedish counterbalance loom with hand-tied heddles. Purchaser is responsible for shipping. I am in Rockland County, NY. will weave 60” wide. Currently warped up at 37”. email @ymail.com We could also Face Time if you want to see in operation or more of loom. 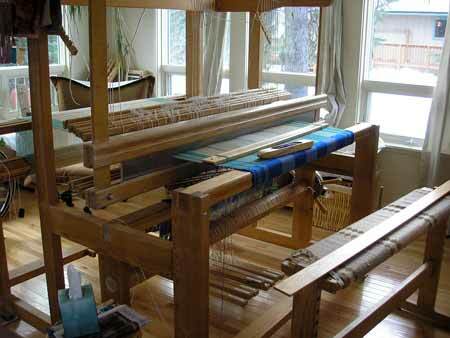 For Sale: $1800, 150 cm/59 in Glimakra 10 shaft/12 treadle Standard horizontal countermarch/counterbalance loom. Loom probably dates from the early 80’s. Originally counterbalance and still has everything original to it. 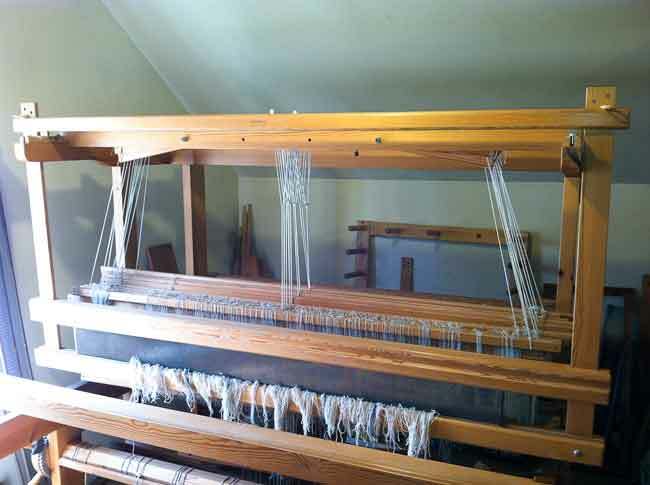 The loom has full-length lower lamms and all texsolv cords and heddles. 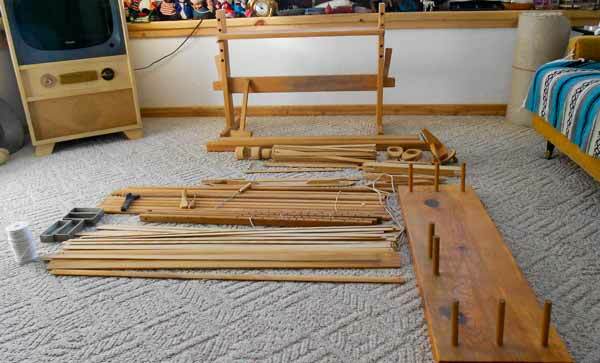 Included is the 49” bench, three full length carbon steel reeds (8,10, & 12 dents), a basic metric raddle, shaft pins – both 4 shaft and 10 shaft, and all equipment original to the loom – lease sticks, etc. With careful packing, we can transport the loom if desired. We live in northwest Arkansas and are willing to transport it 5 to 6 hrs away, for example – Kansas City or Dallas. More pictures are available on request. it’s too wonderful a loom not to be used. 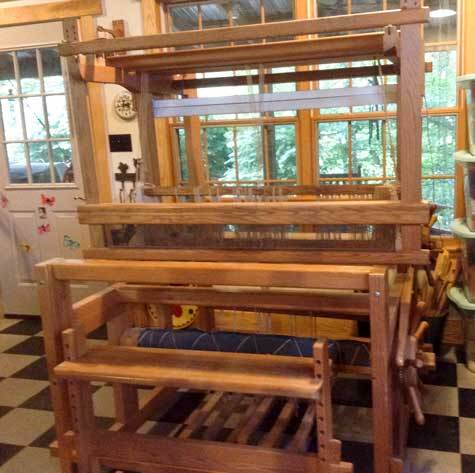 4 Harness, 6 treadle floor loom. Includes countermarche attachment and counterbalance. circa 1970. Good condition. Texslov tie-ups and heddles. Easy to assemble/disassemble. (include beater, reed, everything needed even though not seen in picture) More information on request. 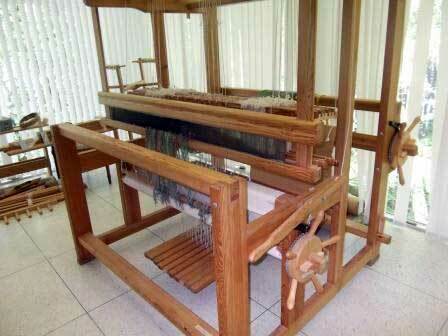 This loom is part of an estate and we are eager to sell. 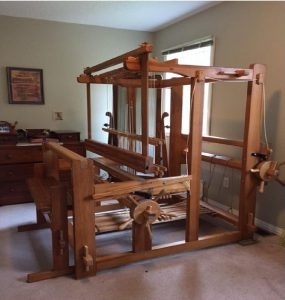 8 harness Glimakra loom for sale! width. Single owner, purchased in 1986.
cords, pegs, lease sticks and assembly documentation. 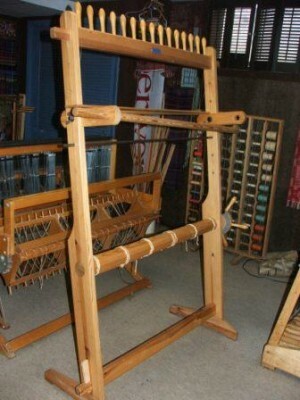 This loom is no longer made but always sought after. In great condition with light use. Includes 6 dent reed, mallet, packing sticks, texsolve heddle. 74″wx77″hx47″d, 2 harness with added custom conversion to 4 harness. Asking $1400. Pickup in Wisconsin, could be shipped at buyers expense. Manual is included. Purchased new, kept inside, and lovingly used by little old lady. information. Shipping is not included. even when temperature and humidity changes throughout the year. The loom is located in Northern California, near Chico. for everything, not including postage and handling. The loom is located on the Northern Beaches in Sydney, Australia. Purchased new in 2003 from Becky’s Vav Stuga in MA. There’s a 10 yd linen warp all set on the back beam. I know that it would take me a year at least to sley it and weave it. It is included in this sale. I’d be happy to help you take it off and preserve it for later use. Loom is located in the Minneapolis, MN area. 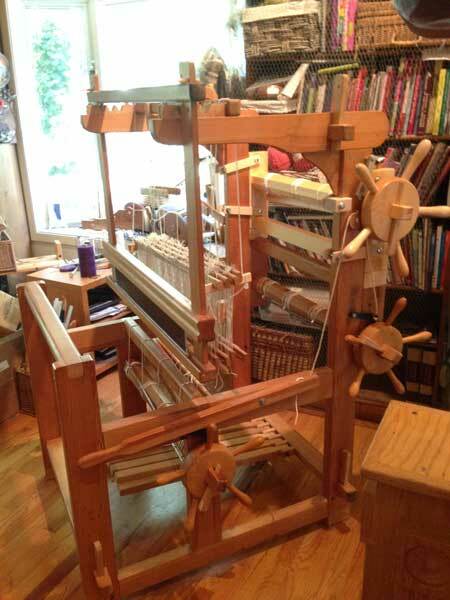 GREAT CONDITION–Almost new 47″ (120cm)STANDARD LOOM ! 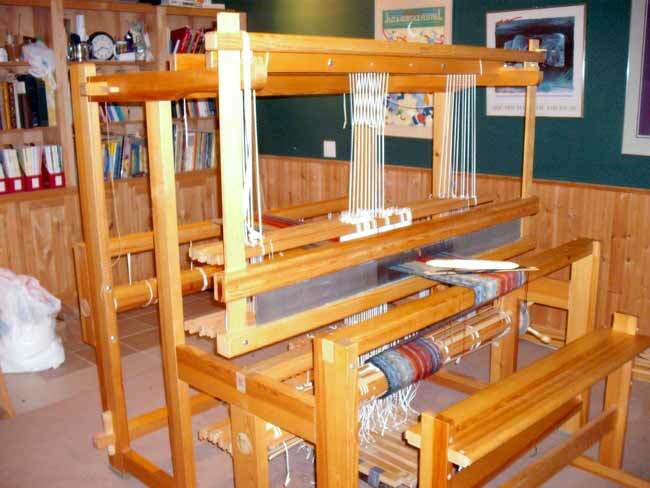 Glimakra Floor Loom that was made in Sweden. Asking $4000. All parts and tools are included along with wool yarn. The loom has only been used a couple times. Looks brand new, nothing is missing or broken, just have no time to use the loom any longer. You can make saddle blankets, rugs, and many other things. 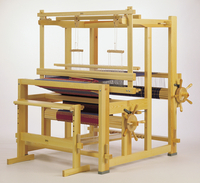 The item is a Standard loom, 120 cm, 4X6 counterbalance that includes the bench, book, and dvd. 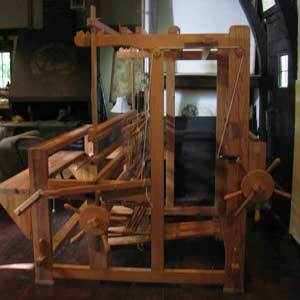 Also items that come with the loom are 24-36 in. Temple, wood with metal teeth, 25in ski shuttle, a floor reel with a 10ft circumference, and also includes reeds. The day it was purchased was 9/4/2008. The original cost was $4537. Take a look several photos of this great loom. 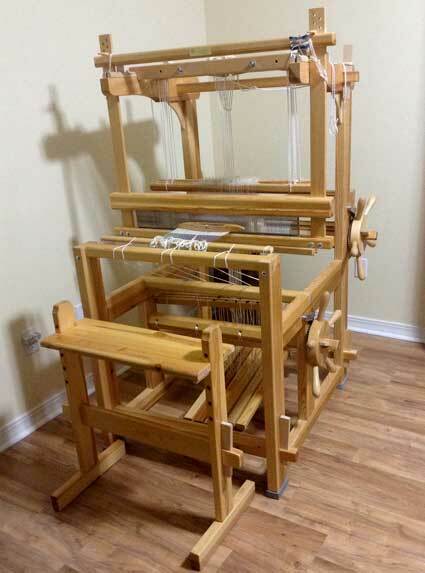 After the passing of a longtime Guild member, we would like to sell these 2 1 looms to enhance our member’s Memorial Fund. 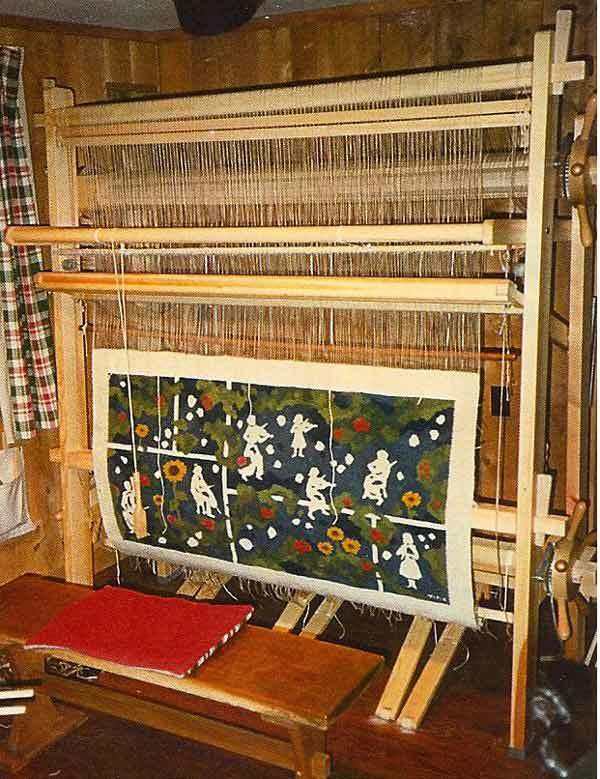 This beautiful loom is 66″ wide and 72″ high. 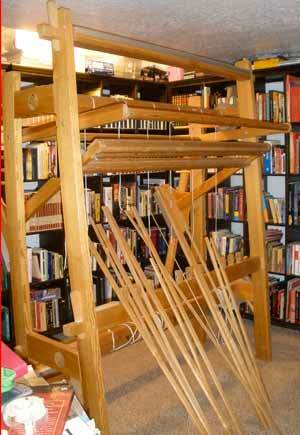 It has 2 shafts, 3 sets of treadles, a beater with reed, aluminum beam covers and Texsolv heddles. 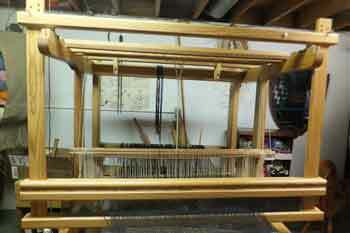 The loom is fully assembled and has a wide rug warp and is “ready to go”. 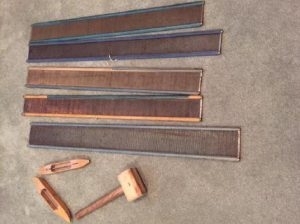 warping board, warping sticks, and reeds. heddle kits and shafts and treadles to make into an 8 harness. bench piece is 48″ (the seat) so all can be moved with a passenger van. All bundled and ready to go. $1300. Learning to Weave by Deborah Chandler. 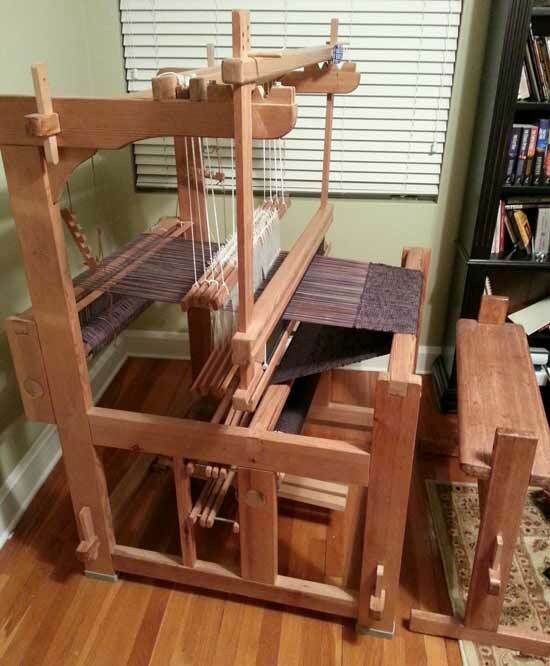 Loom belongs to a relative’s estate and now needs a good home. Very lightly used. Beautiful condition. Check out the photos. 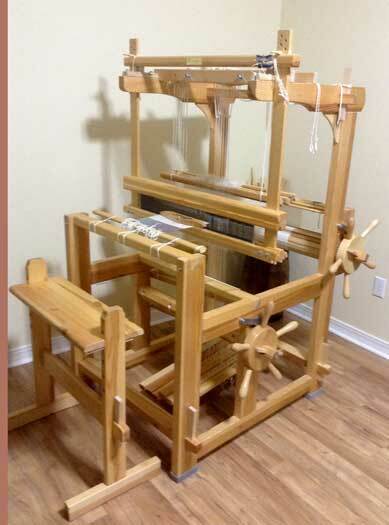 Loom has 12 treadles, 10 shafts (expandable to 12), sectional beam and tension box, adjustable bench, wooden mallet to assemble the loom, four reeds (8, 10, 12, 15 dent reeds), Texsolv heddles and all original instructions. Only two owners: my weaving instructor and me. $2,000. Shipping and packing not included. 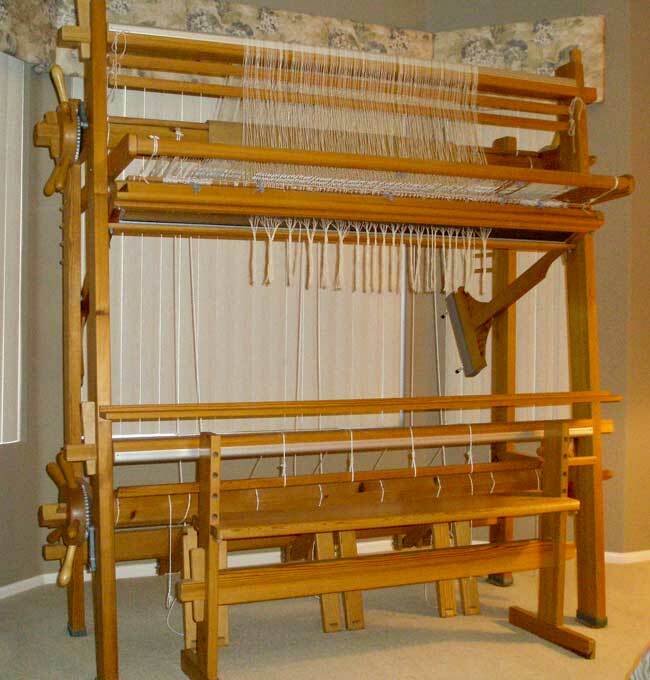 Pick-up in Lakewood, CO.
Glimakra Standard Countermarch Loom 47 inch. condition. $2,500. plus shipping, or pick-up in N. Texas. 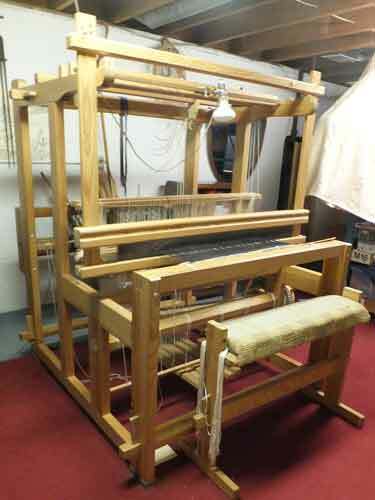 For details about the use of this loom, please see the listing of new band looms on this website. polyurethane. In addition, I increased the size of the slot for the uprights so they would work more smoothly. 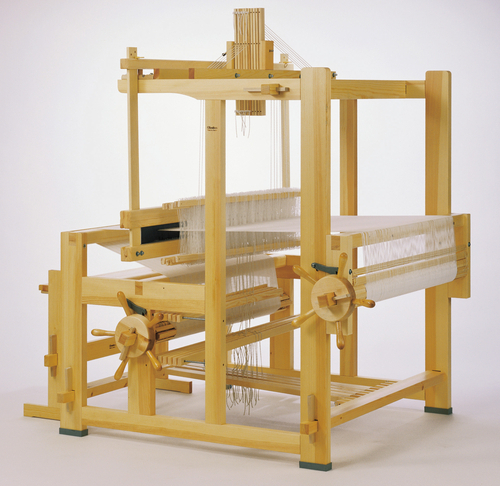 INCLUDES: All items sent with a new loom; loom will come partially assembled. SHIPPING: Approx. 15 lbs. ; will use your preferred carrier; I will pay 50% of shipping costs for basic service or the equivalent towards expedited shipping if that is your preference. If you live in Western Washington, I will meet you half-way for pick-up. PAYMENT: Cash by certified check; loom will ship within 24 hours of receiving check. PayPal: I have an account, so moneys can be transferred this way; however, I need to add a 10% surcharge to cover those fees. 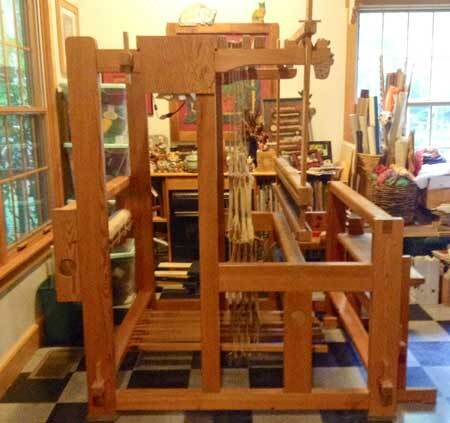 40″ wide upright tapestry loom – in excellent condition. Everything appears to be here. >GREAT OFFER: Like new! 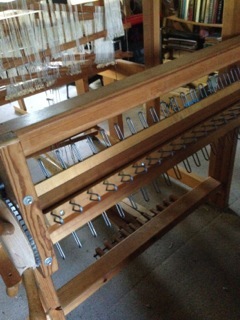 Rarely used Glimakra 59″ (150cm) Standard Countermarch loom. Includes warp board, two large boxes of yarn, instruction book, other documentation. Retails new for $5,800. We need the room – new grandchild – so it’s gotta go! Sacrifice for $1,900. OBO. Shipping is the responsibility of the purchaser. Located in Lawrence, Kansas. Contact(dot) com. Used Regina tapestry loom with extra reeds and items. Contact me for further details. Salt Lake City area. 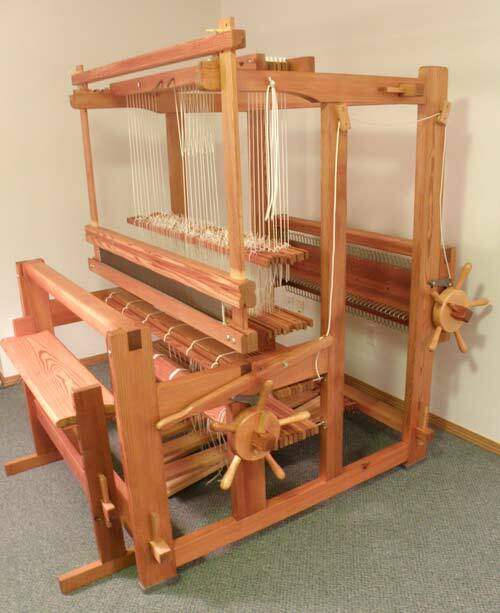 USED 54″ Countermarch Glimakra Swedish Loom for sale by owner contact $1500 plus freight . our non-smoking home for the last 7-8 years. More pictures available. consider delivering within a reasonable distance with our travel expenses reimbursed.